Is it just me, or is this summer flying by? My children start school a month from tomorrow. Isn’t that crazy? It feels like we just started our summer, we should not be getting ready to end it. We are finally getting into our groove here in Kansas. We have all made some friends, found some fun things to do, and have started to get used to living on an Army base. Well, sort of. Today, we woke up and it was raining. The kids and I decided to get in the car and take a little adventure. We found a cute little town in Missouri (we live 5 miles from the Missouri border) called Weston, had a great lunch, and found some cute little shops. I cannot tell you how happy I was to find some roadside fruit stands, it reminded me of growing up in New Jersey. My mom never bought produce in the grocery store during the summer months. I love being able to pull over and buy corn and peaches that just came off of a farm. I normally do not include recipes here that call for tools or ingredients that you might not have, or that will be hard for you to find. But I could not resist sharing this recipe with you. 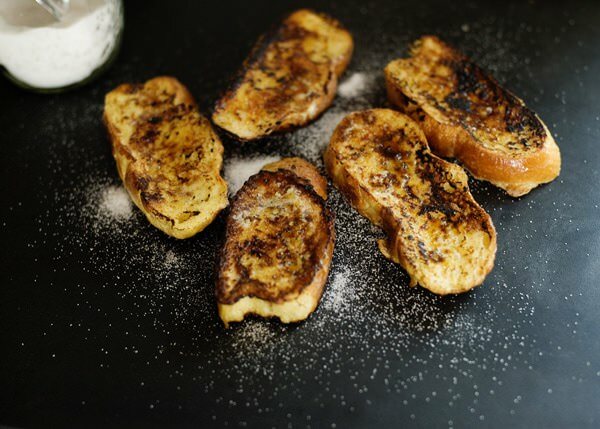 This french toast brulee takes simple french toast and makes it extra special. 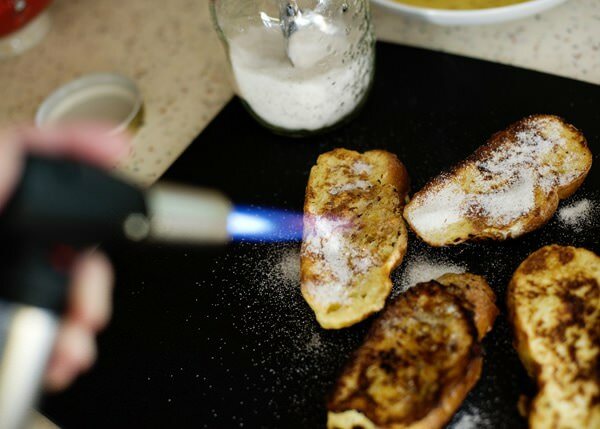 You make french toast like you normally would, but before you serve it, you add a thin layer of sugar, and use a kitchen torch to brulee the top. It melts the sugar and adds a crunch and deep caramel flavor that is nothing short of amazing. I made this for dinner for my children, and they requested it for every meal for the next three days. If that does not tell you that this french toast is delicious, I do not know what will. 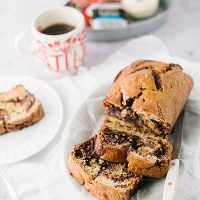 This recipe comes from Chenin over at Fudge Banana Swirl, a super cool parenting blog that makes parenting much more stylish. Whisk together (in a much larger bowl than I used, I made a mess!) 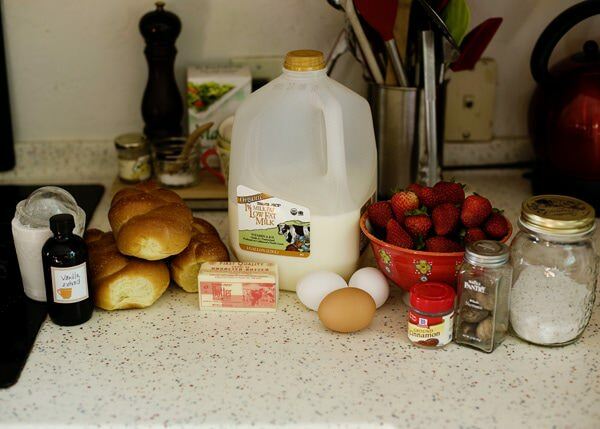 the eggs, milk, sugar, cinnamon, nutmeg, and vanilla. Slice your bread on bias. It looks prettier that way. 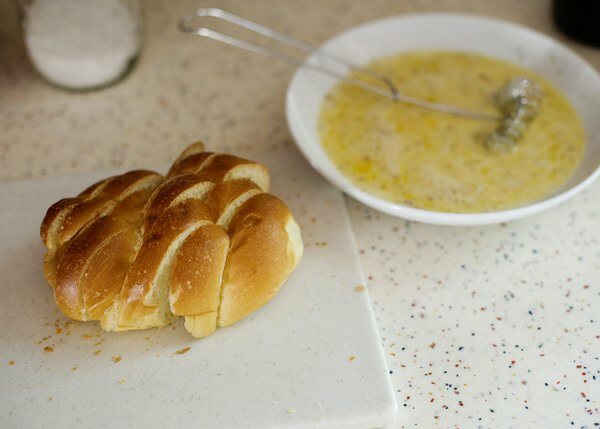 Quickly dip each side of the bread into the custard mixture. 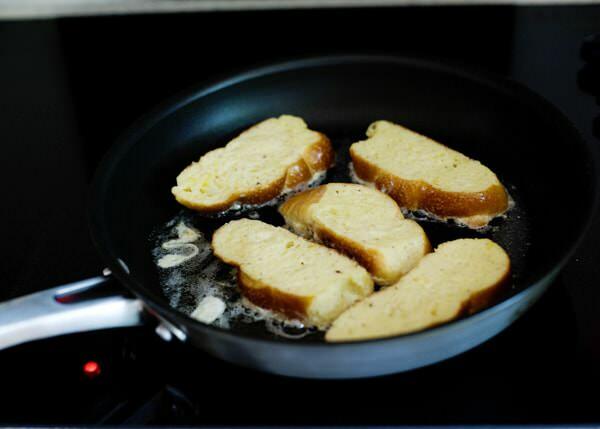 Add the french toast to a pan on medium-high heat that has been coated with butter. Cook on each side until brown, about 2 minutes or so. If you are making a lot of french toast, you can put the pieces on a baking sheet and keep them warm in a 300 degree oven. 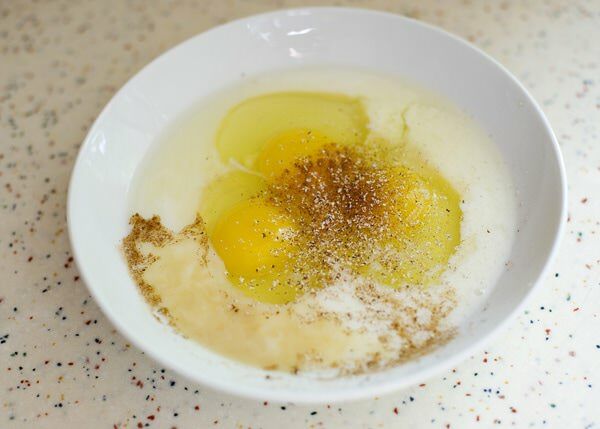 Sprinkle the tops of the french toast with the super fine sugar (if you do not have super fine sugar, give regular sugar a whirl in the food processor). Remember the vanilla sugar that I made awhile back? Here is a perfect use for it. 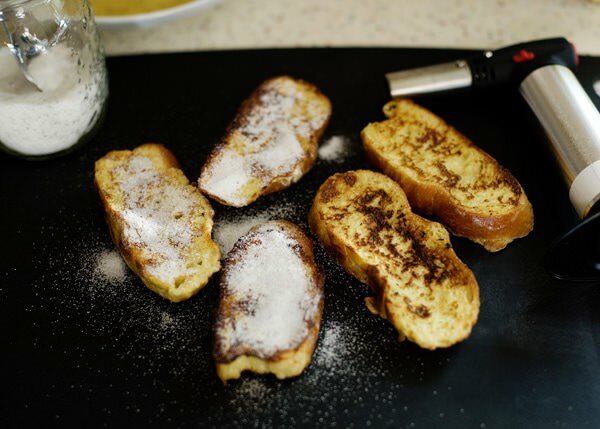 Use a kitchen torch to melt the sugar on the french toast. The tops will have a caramel-ly, crunchy top. Oh so good. 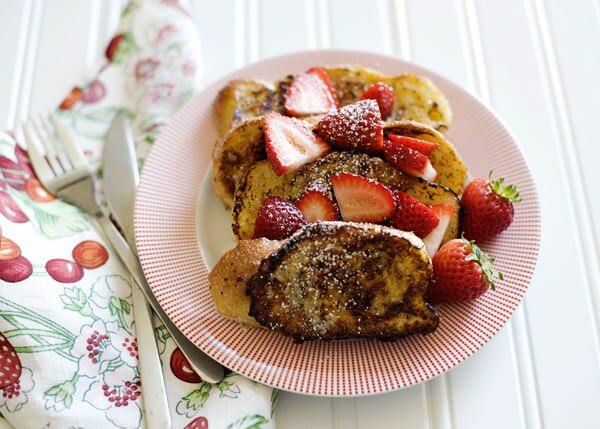 Garnish with a sprinkle of powdered sugar and sliced strawberries. Enjoy! The children here didn’t even start their summer break yet. Still two more weeks to go. Weird to see you talk about summer flying by again and being almost over *grin* I am just waiting for it to start! The french toast looks lovely. That is really late for summer to start isn’t it? A while back, one of my neighbors never returned my kitchen torch and then moved away. 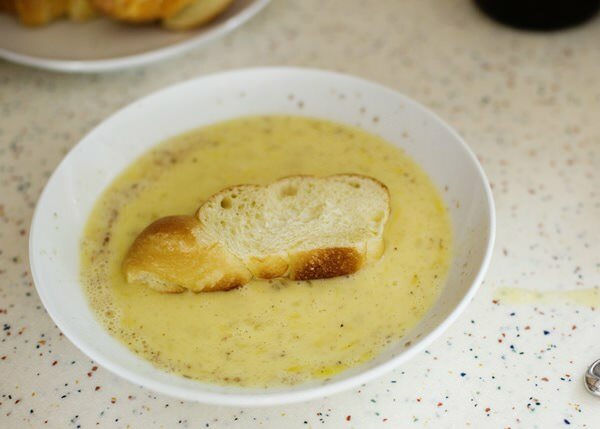 This recipe has made me put going to the store to get a replacement this weekend a top priority! Thank you for sharing! That stinks! But this recipe is worth buying a new one. Promise. So excited to see this here! Glad you liked it and thank you for all of your support! This is absolutely beautiful! It looks like art-work but then again I think I would rather eat it, yum! Looks and sounds fabulous!! dropped in from foodgawker. Your space is so beautiful and so is your photography. This toast is looking so delicious which those colorful fruits on top. 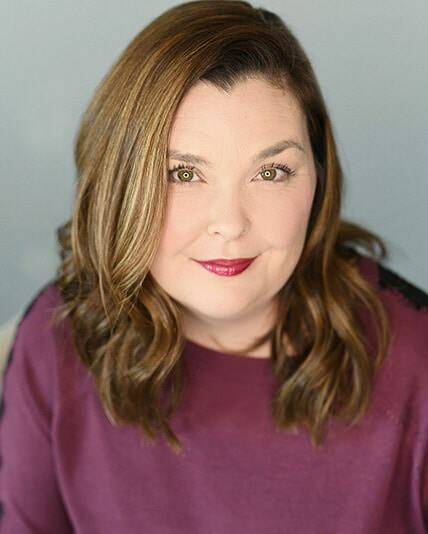 Welcome and thank you! Where are you? They look so delicious! I’ve been craving for a kitchen torch for months, so this recipe only increases my desire haha. you are welcome Ruth! I love enabling people to add to their kitchen tool collection. Oh boy does this look amazing. Must buy a kitchen torch. Must. It is fun, isn’t it? thank you. tastes divine as well! Oh man, like everyone else, I think this has officially pushed me to go buy myself a kitchen torch. As well as driving around to find some produce stands/markets, I forgot how much I miss fresh fruits and veggies. 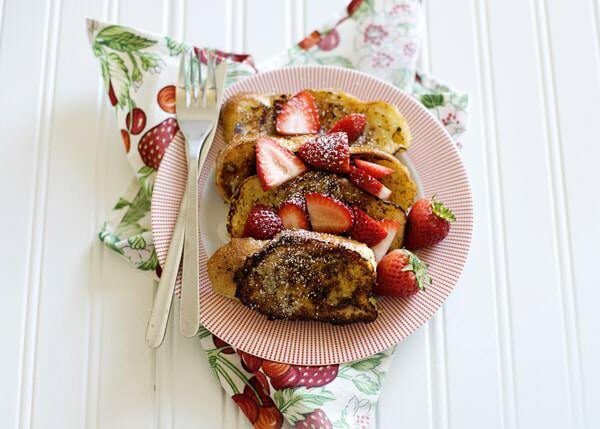 Anyways, this french toast is beautiful! And those strawberries… oh my, it’s a match made in heaven. Gorgeous! I doubt that! I am sure that it was gorgeous. 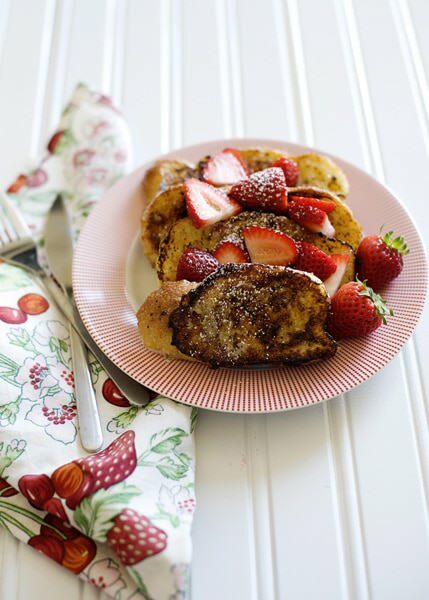 I haven’t made french toast in ages but after looking at your pictures I am inspired. Thanks! I made this last night!!!! Amazingly delicious recipe. Your website is awesome, thank you so much.